The NFL is a multi-million dollar corporation. With that amount of capital, much could be done to lobby congress to address the issues that the players are protesting against. Whether the NFL or it's board/shareholders will do such a thing is a different issue. 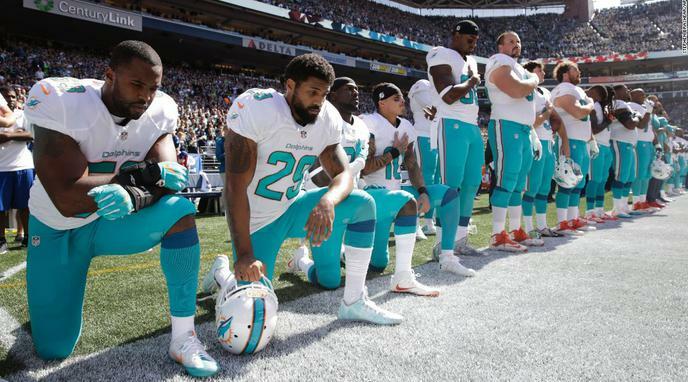 Even if the NFL cannot solve the problems that the players are protesting against, the 16.5 million people who watch the NFL game can solve the problems that the protesters are protesting about.